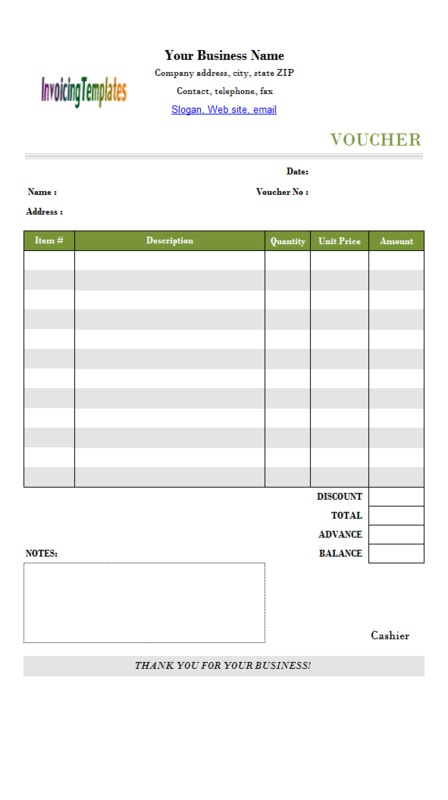 Can I edit your invoice template? You may ask. Yes absolutely! All our templates are editable and fillable - although we usually use the term "customize" instead of "edit", but the fact is that our templates are not protected with password. 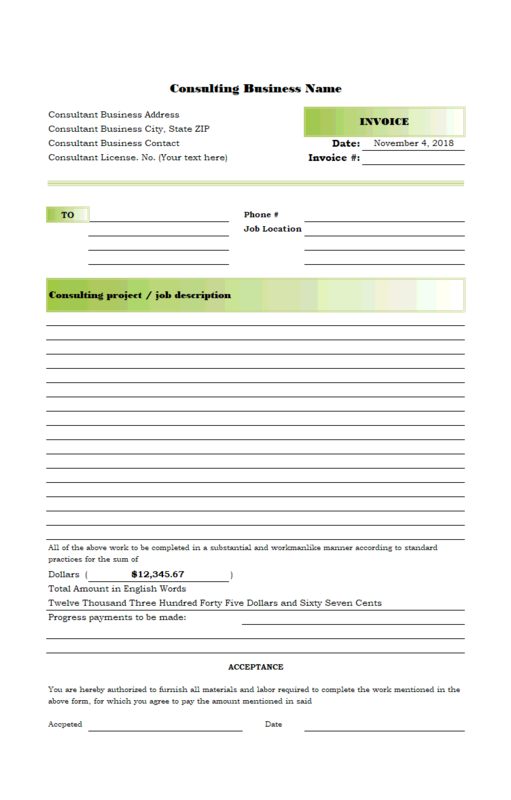 You can freely download and customize / edit the template to make it suitable for your business. 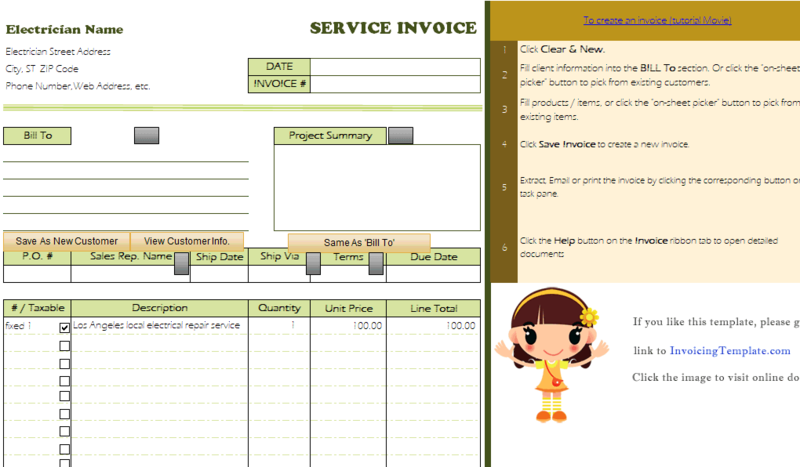 Please also refer to Customizing Invoice Template. 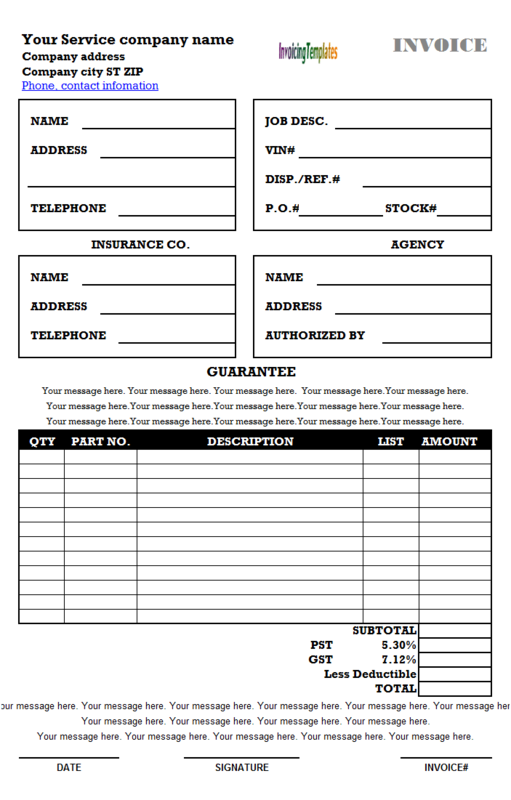 And, here also come the templates for you to EDIT! 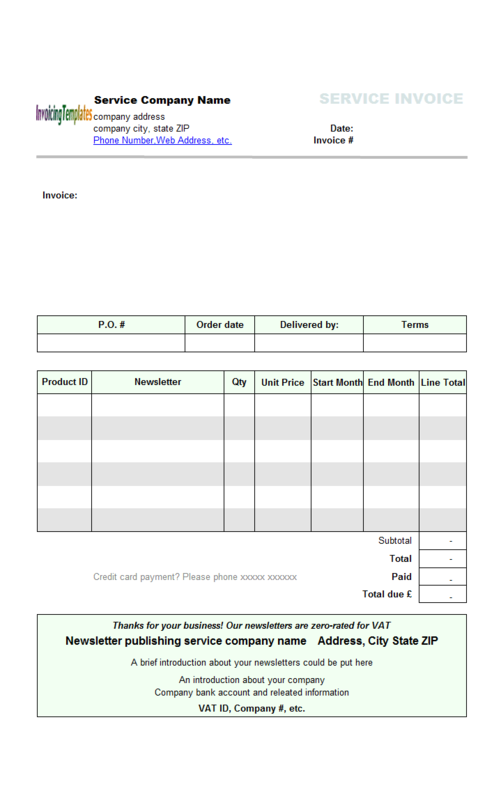 We also add 3 columns to the original Excel invoice template, i.e. "Consumer Name", "Authorization #Number" and "Service Date". 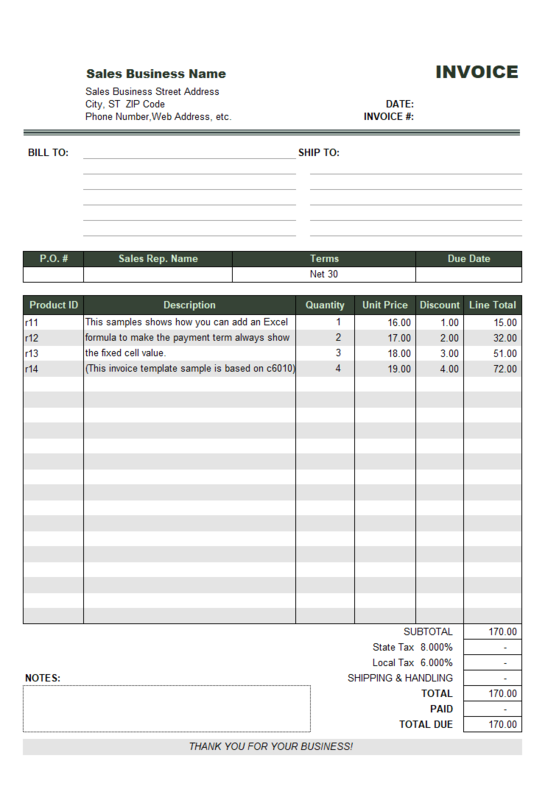 Please refer to General Vendor Invoice Template and Invoicing Guidelines for Vendors for more information on usage and purpose of these fields. 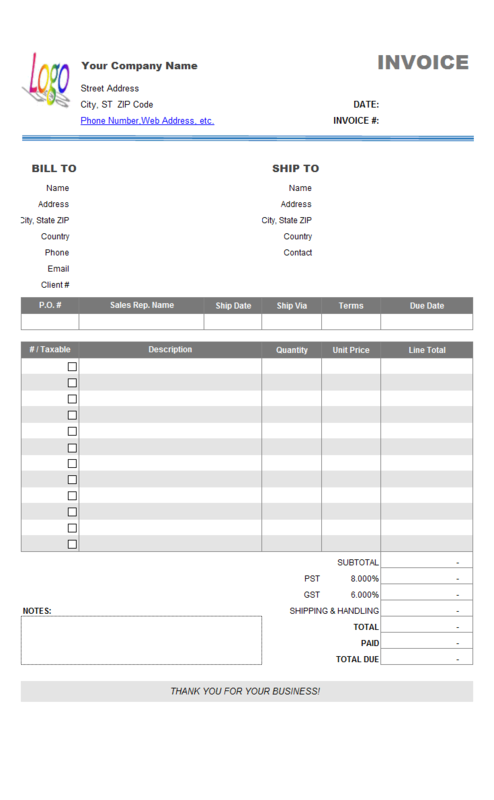 To create Hourly Service Billing Template from c4001 Template with 4 Columns, we moved out the Shipping Address section because this is a service billing template, and then change the column headings from Quantity and Unit Price to Hours and Rate. 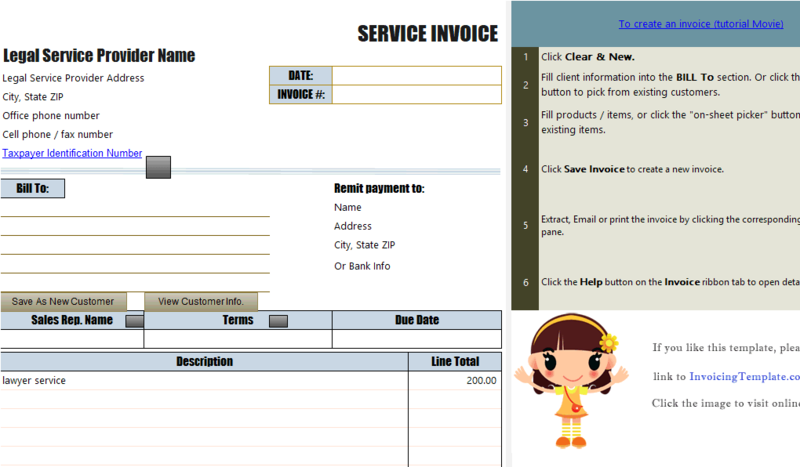 It is a basic sample on how we customize the invoicing templates here on InvoicingTemplate.com. 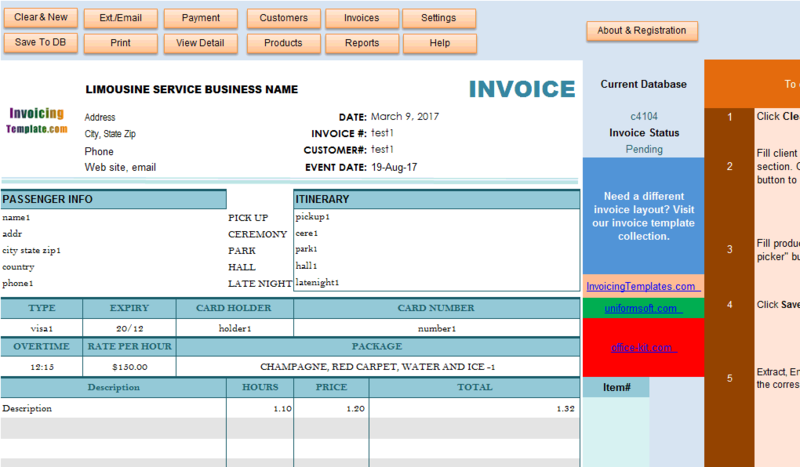 As long as you follow the guidelines detailed in the Invoice Manager for Excel (namely Uniform Invoice Software) documents, all templates customized in this way will work with Invoice Manager for Excel (namely Uniform Invoice Software) without problem. 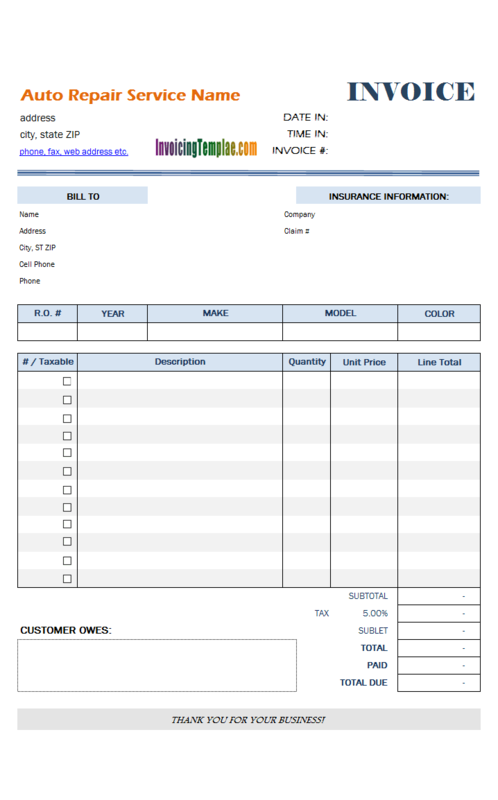 One last word, however, always protect the Invoice worksheet once you have done your customization. This prevents unexpected modifications to the format and layout of the template. 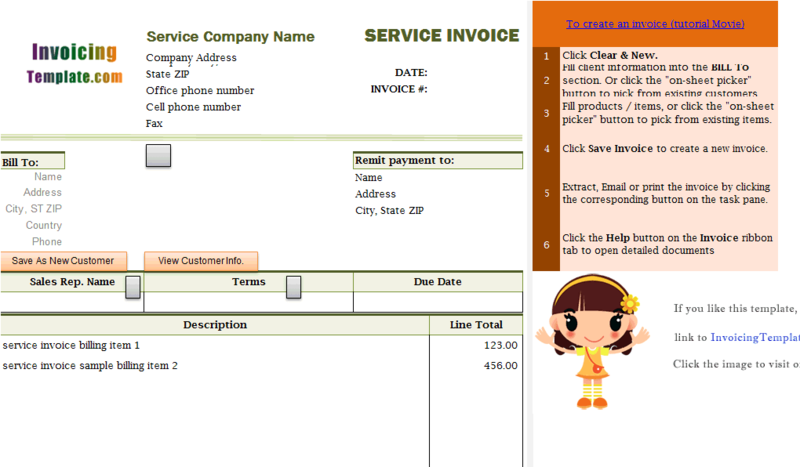 Designed for electrician and wireman, this free electrician service invoice template differs from any other forms here on InvoicingTemplate.com by using a watermark image that shows a happy electrical engineer working with a screwdriver and a universal meter. 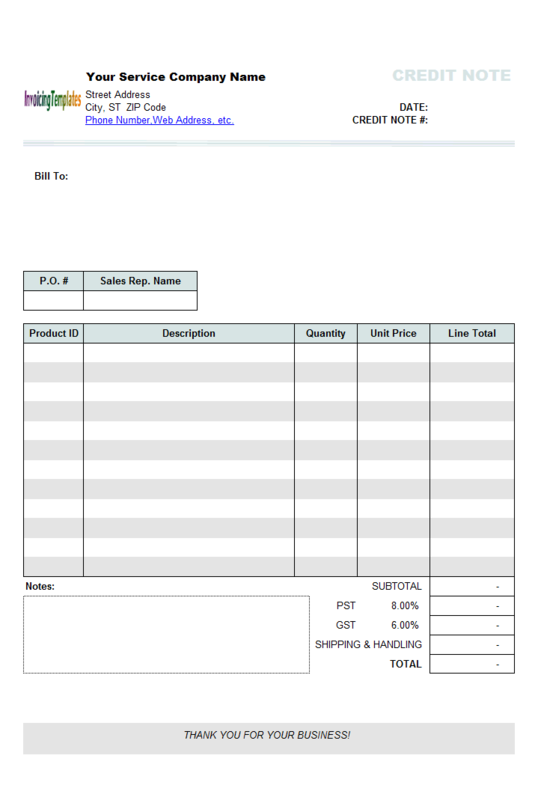 Like c4046 Construction Invoice Template, this template has 4 columns too, namely "Description", "Quantity", "Unit Price" and "Line total". 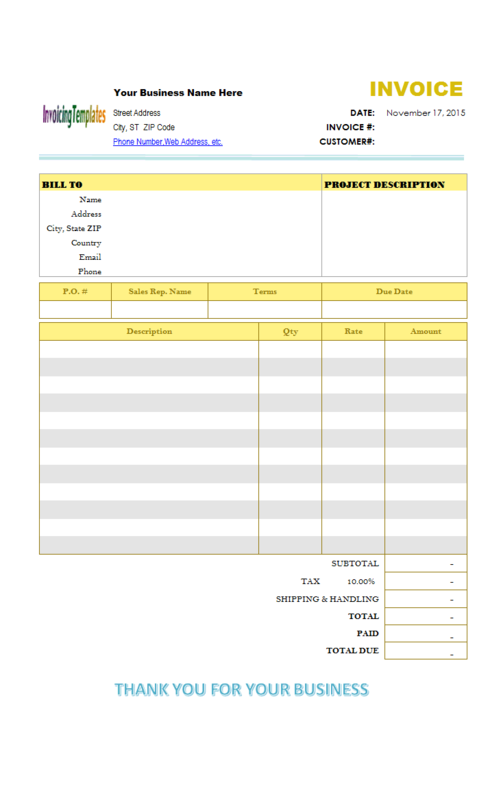 This differs from c1001 Construction Proposal Template and c1005 Construction Contract Template, where there is only 1 column and the total amount is manually editable. 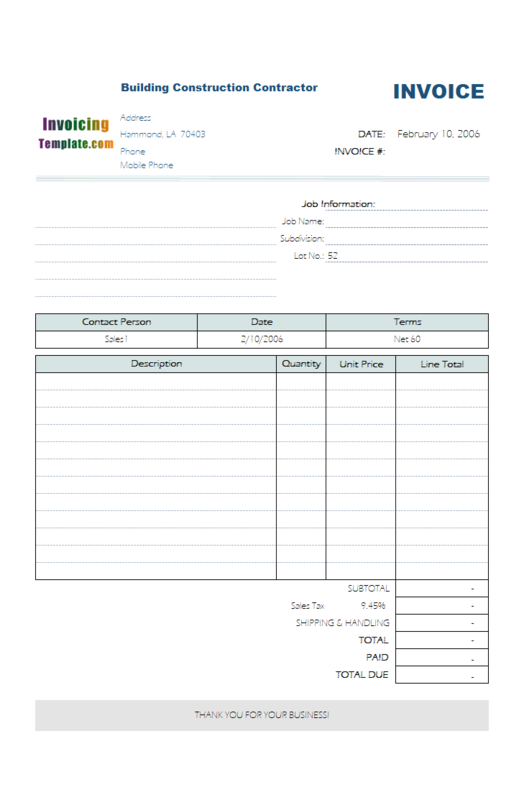 The formula of the "Total" cell includes credit card fee. 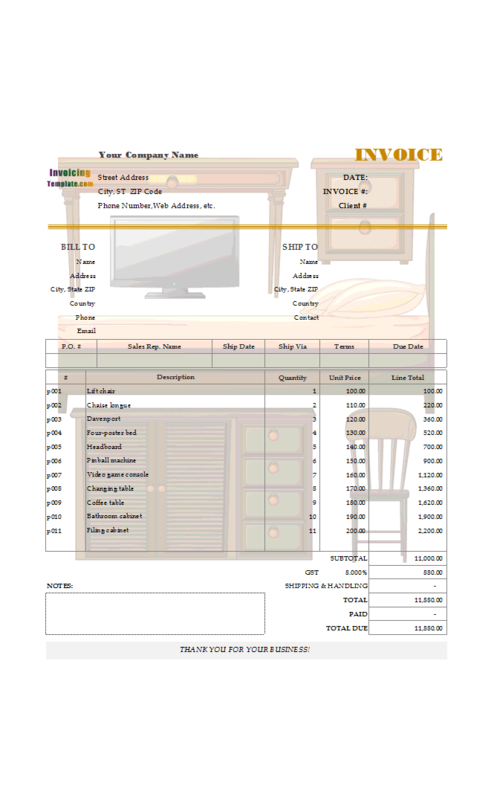 Download this free blank legal service invoice template to print beautiful and professional legal service invoices in Excel, or send the PDF invoice to clients with email. 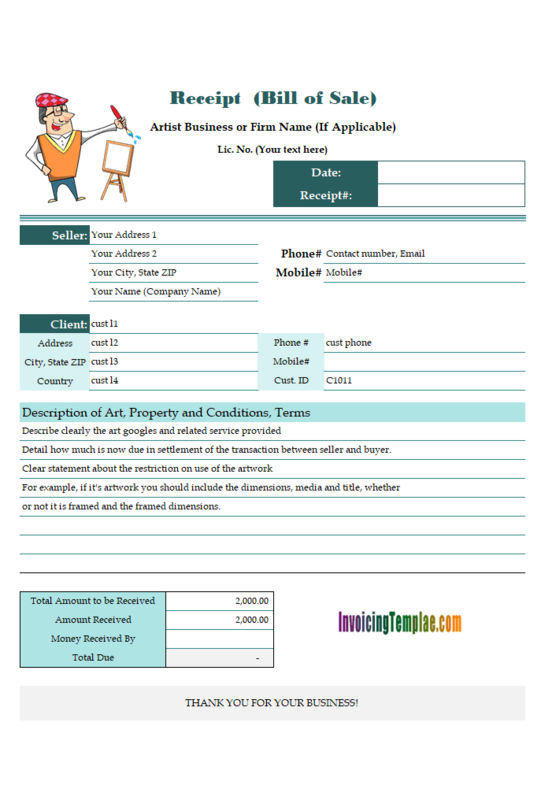 The form features a cartoon lawyer image on top-left of the sheet. 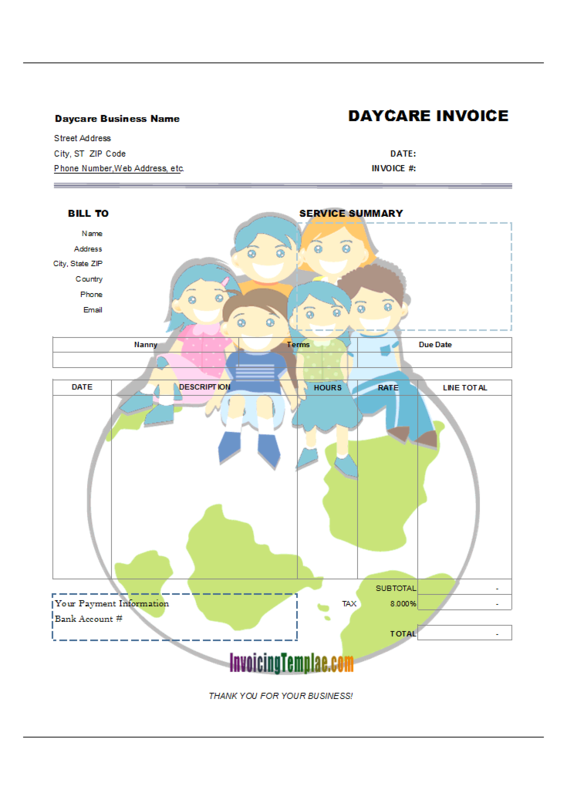 As described 10 Invoicing & Payment Terms You Need To Know, "when you have clear, specific, and consistent payment terms you can increase the chances of getting your invoice paid-on-time". 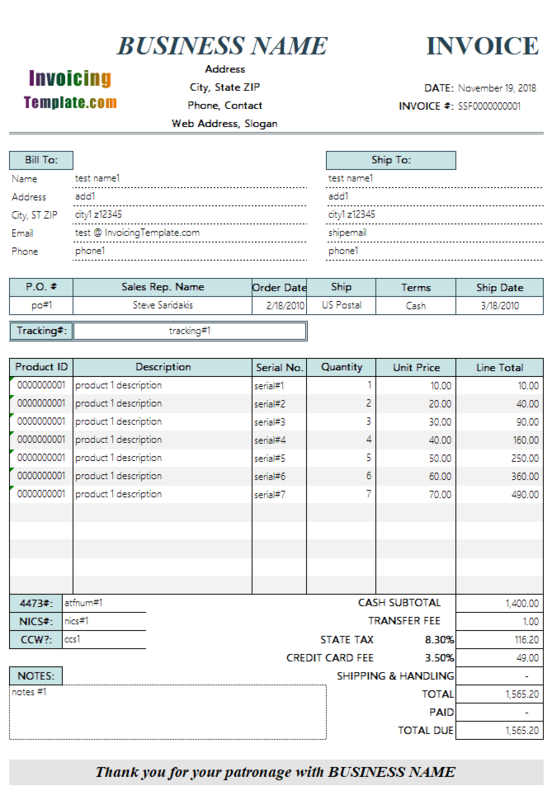 That's why almost all templates available here on InvoicingTemplate.com has the "Payment Term" field placed on top of the detail section. The 3 lines of "Job Location" fields are now defined as custom fields. 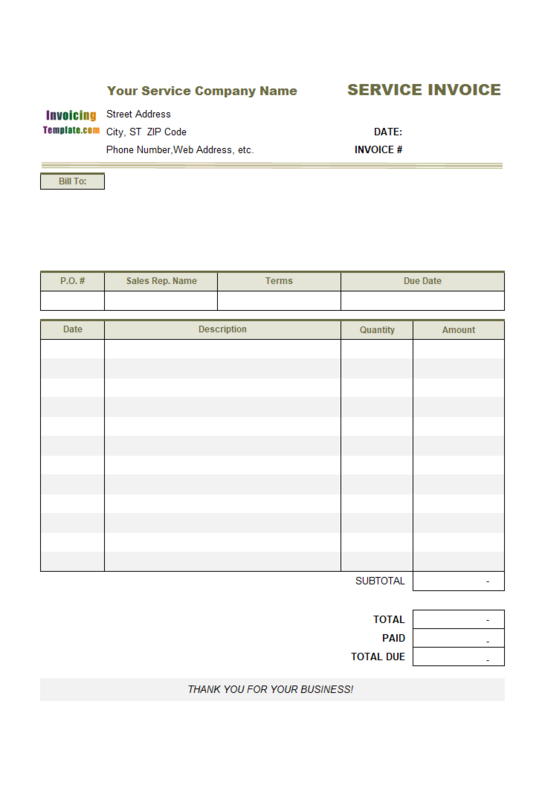 The fields are added to the "Invoice Header" database table. See How to use custom field to learn more. The idea to remove the "Taxable" boxes is that for many business entities either all the invoiced items are taxable, or all are not taxable (or tax-exempt). 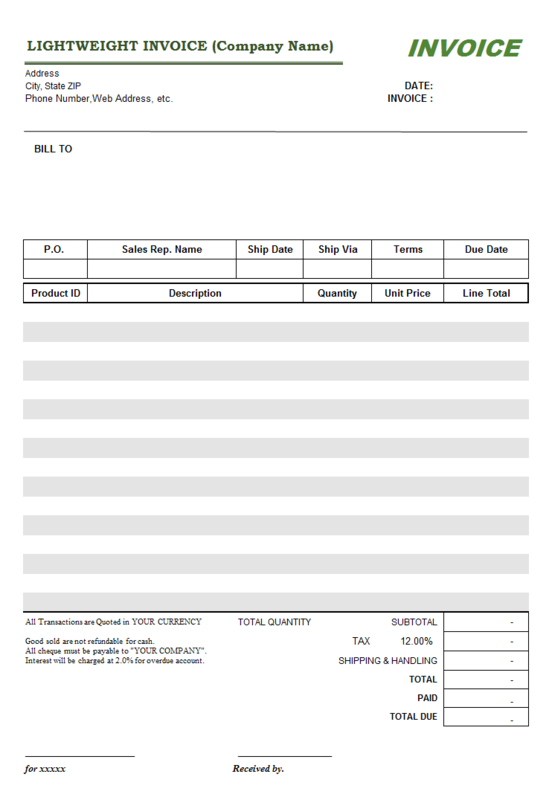 In such situation showing the "Taxable" boxes on the printable form is not necessary and redundant, as the boxes occupy editable Description space on the form. 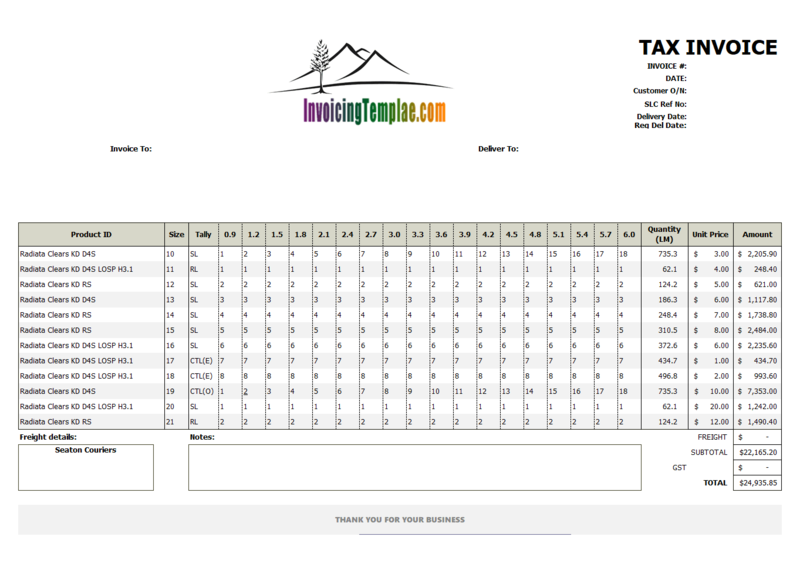 With the removal of the "Taxable" options, we also modify the Excel formula assigned to the fields that calculates taxes. So in this version, taxes are calculated based "oknSubtotal", but not "oknLineTotalTaxable". A default value is the value assigned to a field or cell. 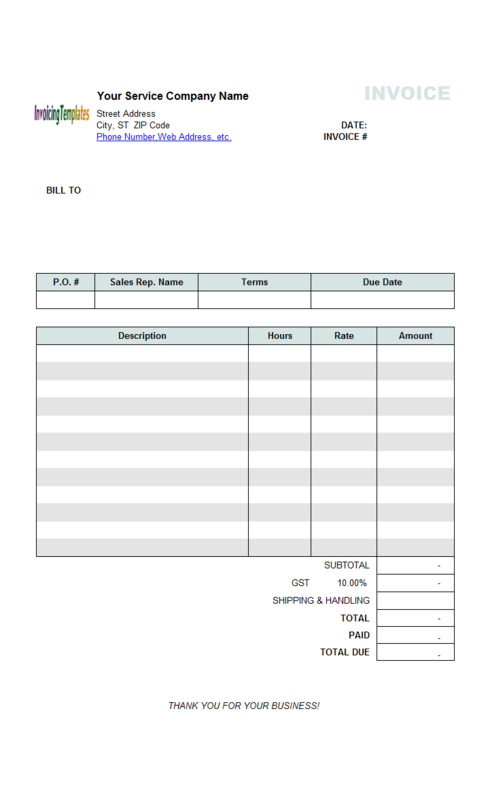 The value of the cell must be changeable / editable, but if it is not changed or edited, the default value appears on invoice and save to database. 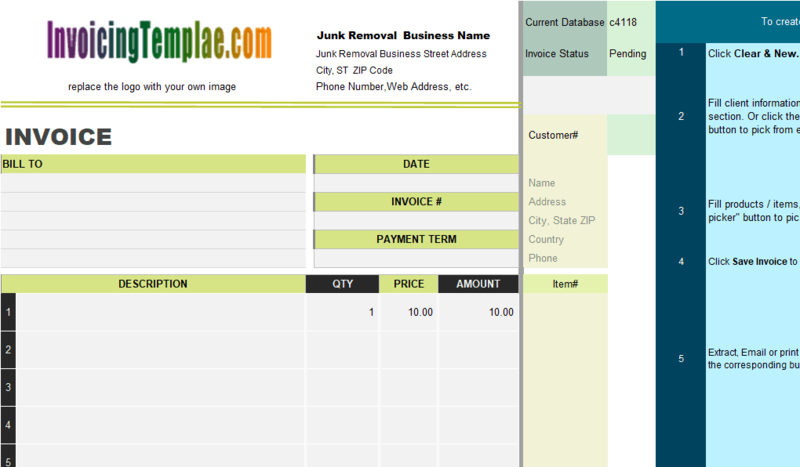 This trash Removal Invoice sample is based on c4070 Labor Invoice. 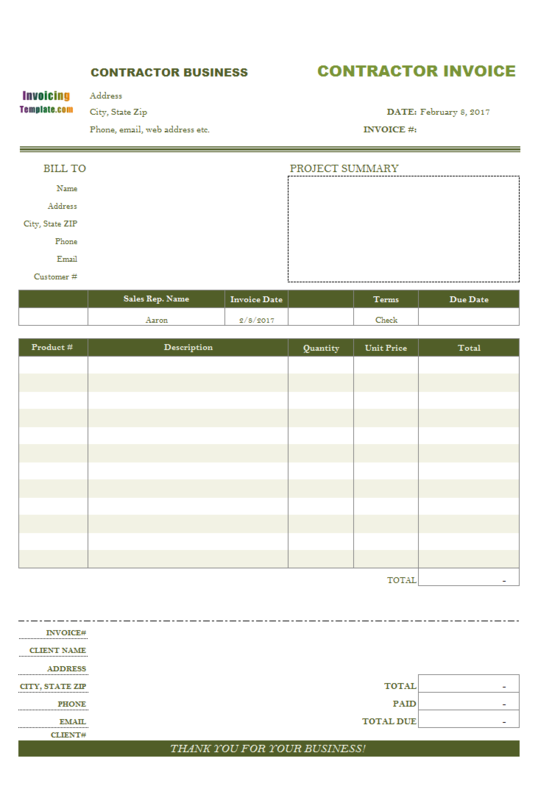 As the original design, it is a service invoice template. 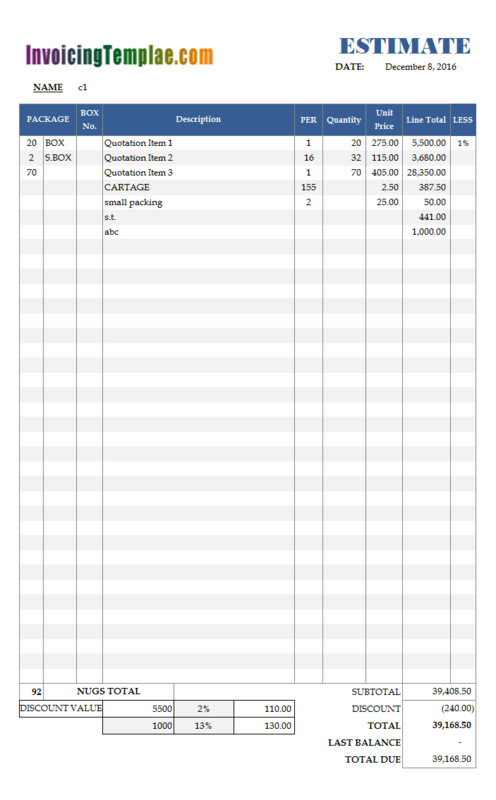 While in the original format the columns are titled as "Hours" and "Rate", this redesigned template has the columns titled as "QTY" and "PRICE". The Excel formulas that calculate the line totals remain the same. It looks like the sample given below. 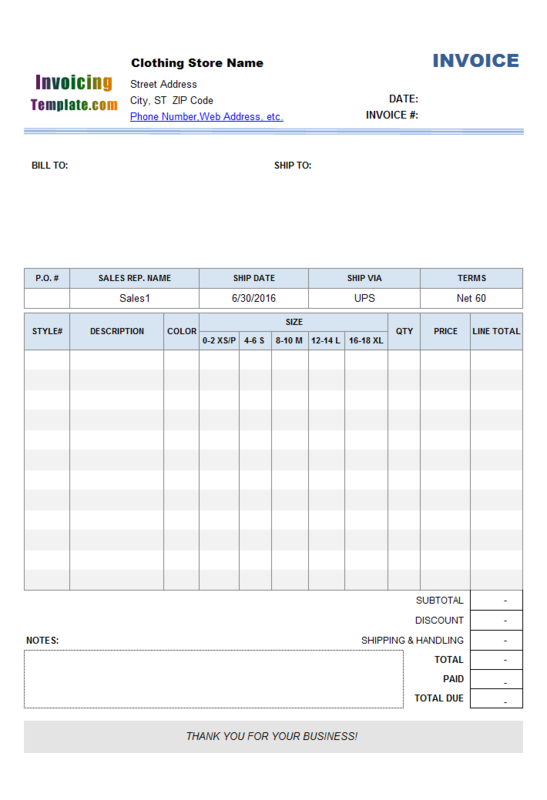 This invoice template has 11 columns on the invoice detail section (invoice body) that allow you to itemize the sizes of clothes sold out. 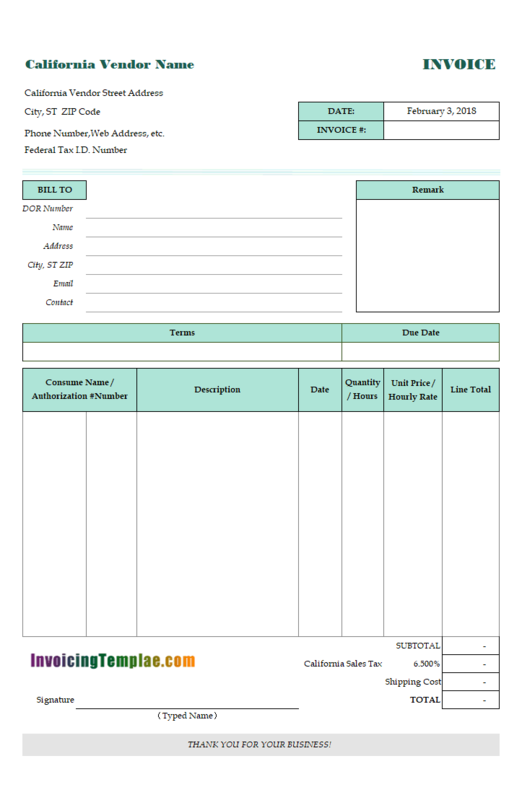 Clothing stores and manufacturers could use this template for creating professional invoices. 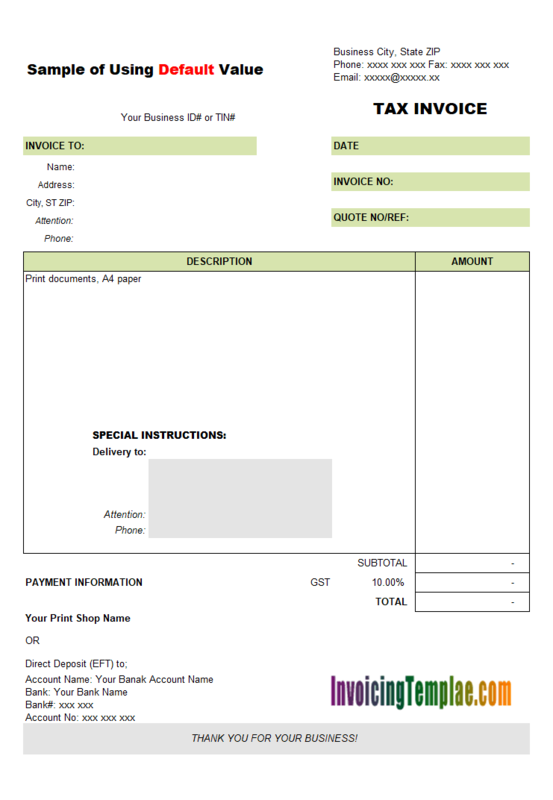 Step 2: Open the voucher template as usual, switch to design mode by clicking the "Design Mode" button on the "Invoice" worksheet. Adding a new column is a bit complex than just moving cells. 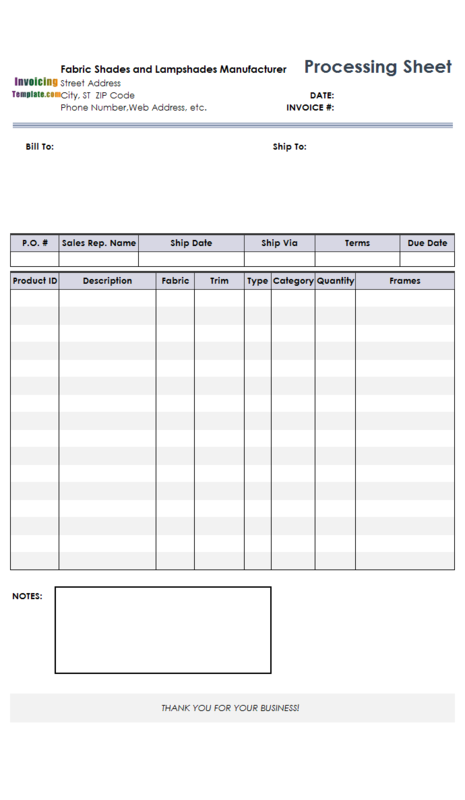 With the previous generation of Invoice Manager for Excel, which is named Excel Invoice Manager, you have to use Database Designer to add new fields to the Invoice Body database definition file and database table (and the field with the same name to the Product table, if you wish to fill the cell automatically when a product / service item is picked up), and then name the cells based on the database field name.